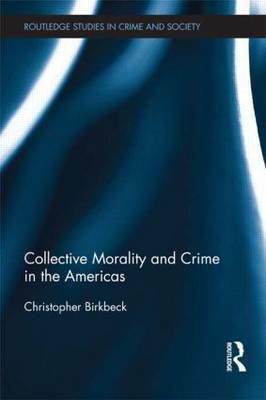 This study examines the ways in which the moral community is "talked into being" in relation to crime, and the objects of concern that typically occupy its attention. It maps the imagined moral universe of the virtuous and the criminal and charts the relations between these two groups in the "history of the present." It examines the calls to action which symbolically endow the moral community with power. And it looks at the character and content of collective moralizing. The source materials are commentaries about crime and criminal justice appearing in selected newspapers across the Americas. The moral "talk" found there is stylized, routine, trivial and occasionally dramatic. It looks nothing like the weightier renderings of morality that derive from the reconstruction of a particular "ethic" or from the systematic probing of values and moral reasoning. And its fuzzy, offhand, unexceptional and frequently unsystematic nature makes it a difficult candidate for explaining either stability or change in crime policies. But moral talk has intrinsic importance as the creator and sustainer of an imagined moral community, a community that symbolizes the existence and vigor of morality itself and confers a crucially important identity on its self-proclaimed members. And moral talk reveals inherent intersections between normative, empirical and technical discourses, highlighting the relationships between morality, science and social engineering. Thus, a prosaic, instrumental, model of morality is particularly strong in North America, but only found in a more abstract form in Latin America, where it sits alongside a stirring vision of morality, more directly anchored in virtue. Research on social problems, moral panics and the sociology of morality has largely overlooked the type of moral discourse studied here. While emphasizing the culturally contingent nature of the findings, the conclusion reflects on their significance for understanding the nature of moralizing, the artifacts of talk and the construction of identity.